MINDING MY P'S WITH Q – A LOT OF P'S WITH A BIT OF QUIRKINESS THROWN IN FOR GOOD MEASURE. 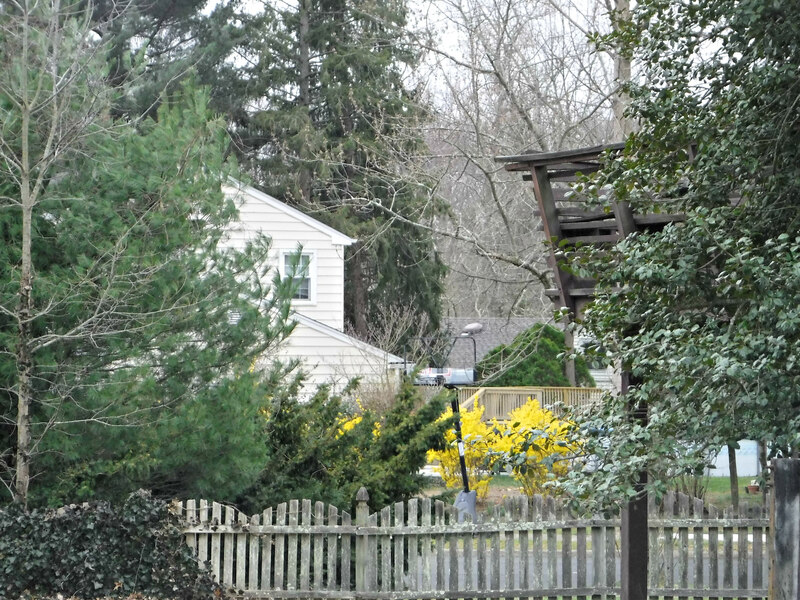 This Indian Weather Vane with his bow is on top of the Old Mill Plaza in North East, Maryland. 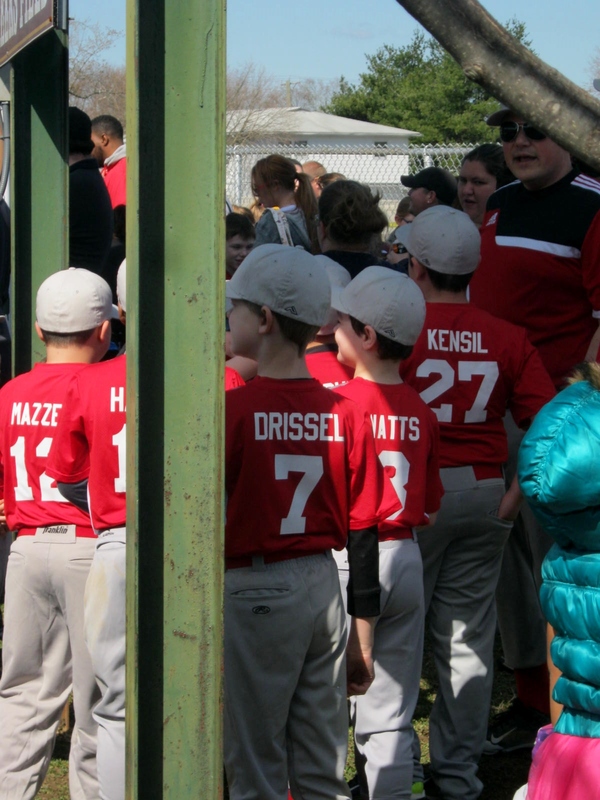 North East is a great small town near the Chesapeake Bay and the Elk Neck River. 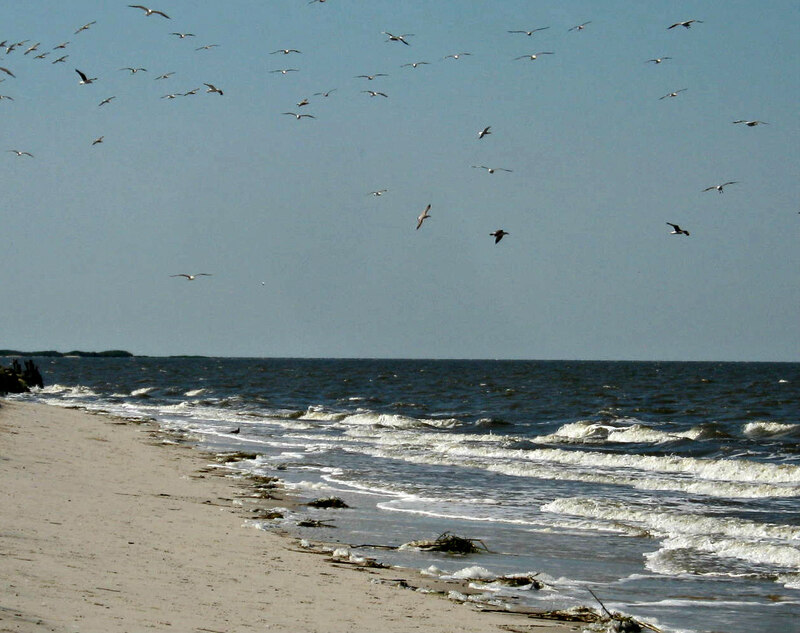 It is just minutes away from Elk Neck State Park and the Turkey Point Lighthouse. Take a quick walk with me to Turkey Point Lighthouse. 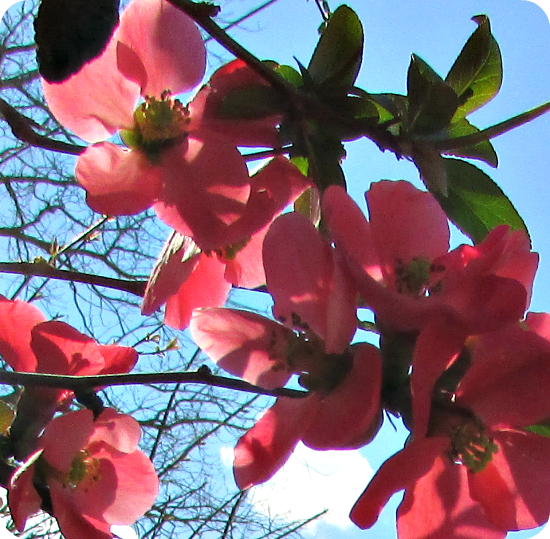 It was one of those idyllic sunshine days in April. I was with several of my family members on Easter weekend walking along the Chesapeake Bay in Elk Neck State Forest. The girls were making sand castles with small shells and sticks, the guys were watching the sun on the water, I was looking for pieces of driftwood. My husband eventually joined me and we walked further up the beach. “There’s a snake.” my husband suddenly said. He dislikes snakes much more than I do, but let me tell you, when you hear the word snake, and don’t see it, you become very aware of the surroundings and your shoulders instinctively raise up toward your ears just a bit. 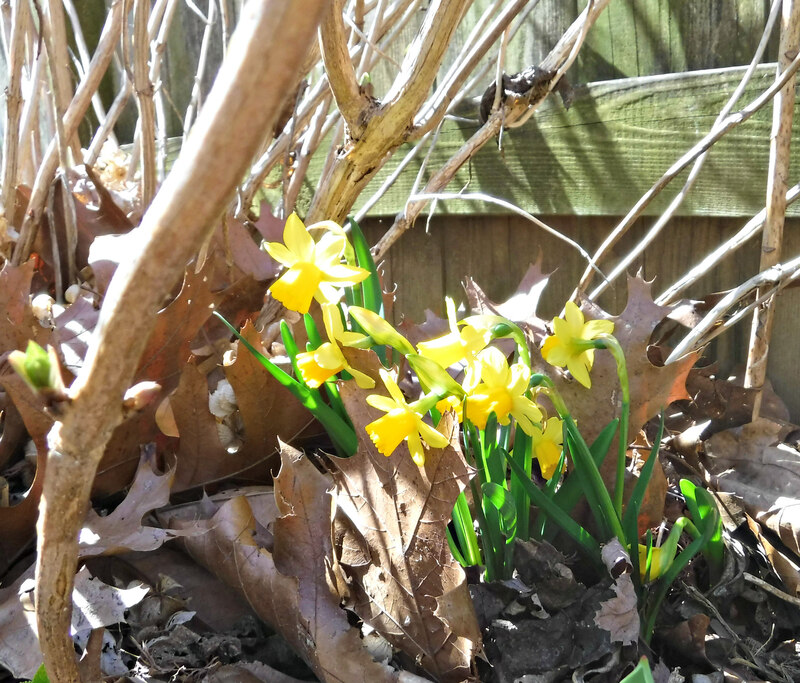 It was a little eerie when I finally saw it lying motionless among the gnarled roots and pieces of debris. I wondered how long it had been watching us. The Northern Water Snake species is harmless. It was probably an older snake. Its back was dark and the orange bands on the bottom of its body were faint. The bands are brighter and much more pronounced when the snakes are young. 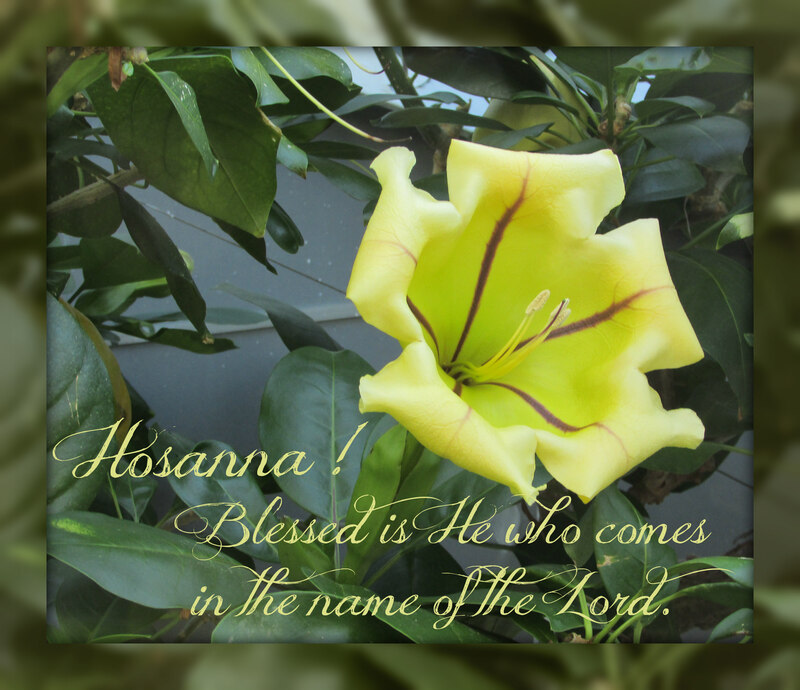 Photograph – He is Risen! My winter sown vegetables are ready to plant. 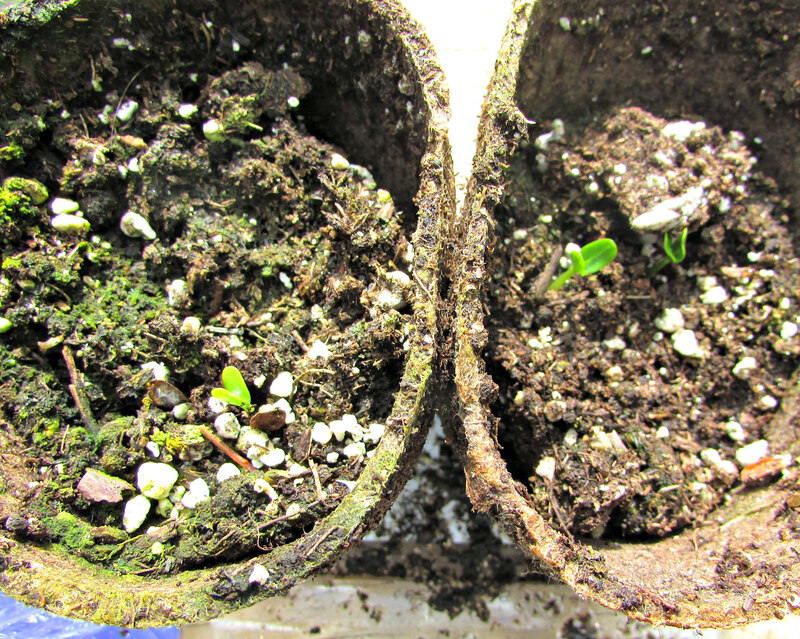 They have done well, developing good root systems as they slowly sprouted and grew. 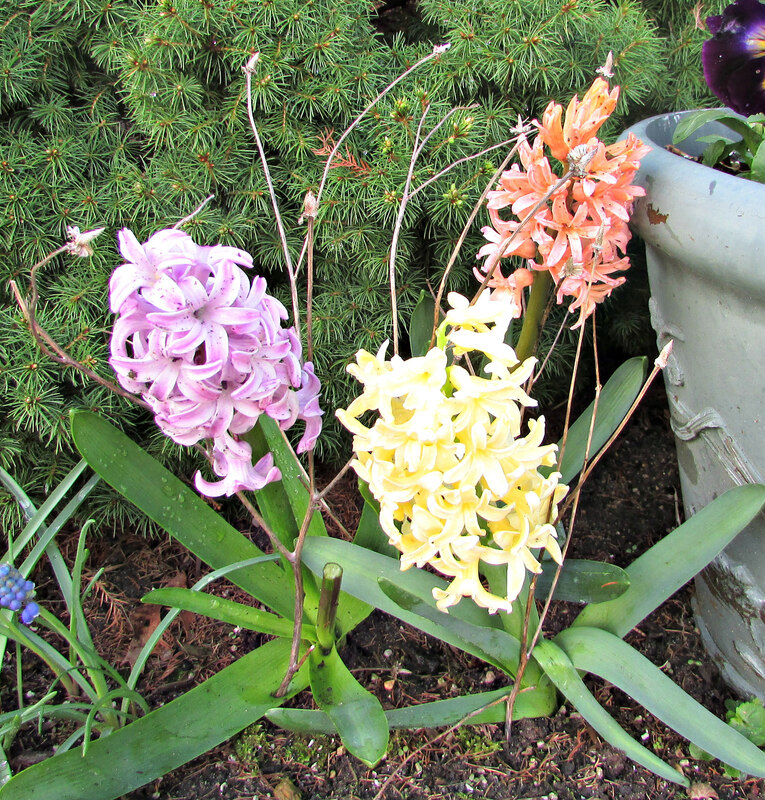 They do not need to be hardened off before planting as they have grown in cold temperatures since day one. 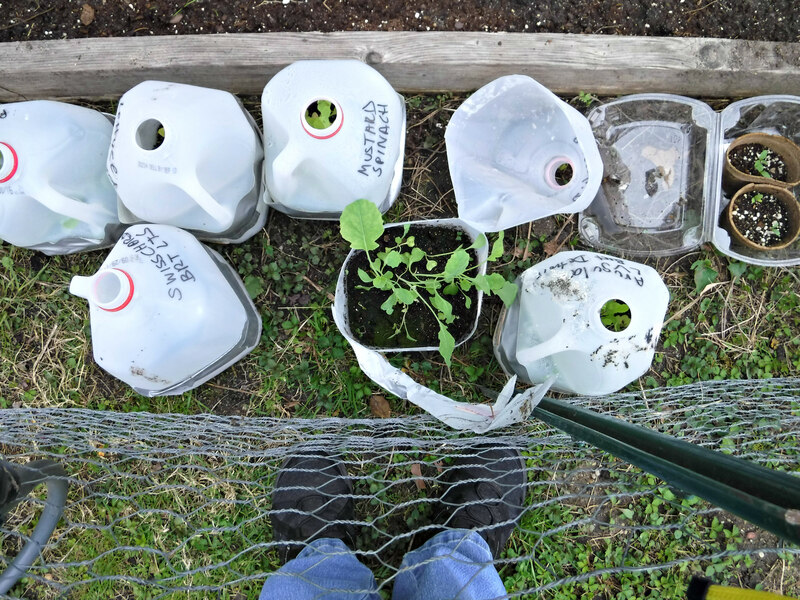 The plants look small, but they will quickly grow in the loose soil of the Square Foot Garden. In a week or two they will double, maybe triple in size. 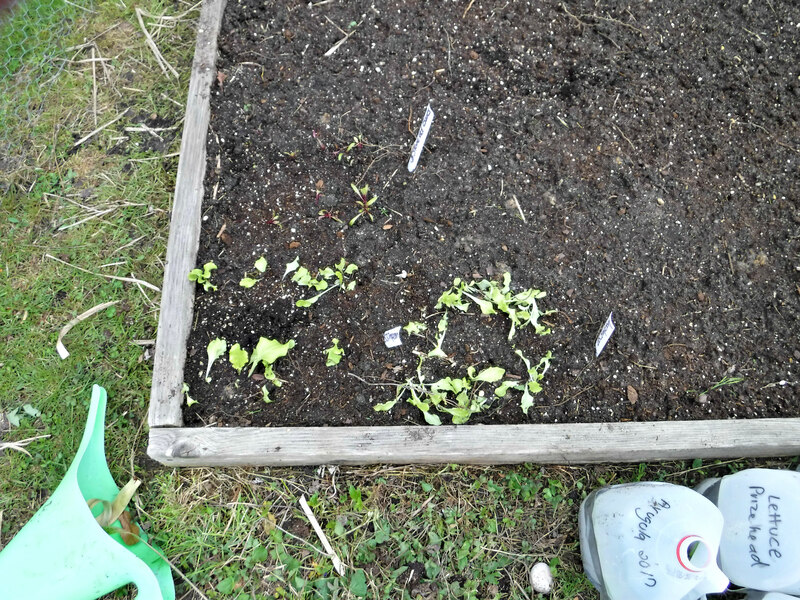 Planted this week are Arugula, Bread-seed Poppies, Milkweed, Mesclun lettuce, Black-seeded Simpson lettuce, Prize-head lettuce, Giant Spinach, Swiss Chard, Kale, and several varieties of beets. 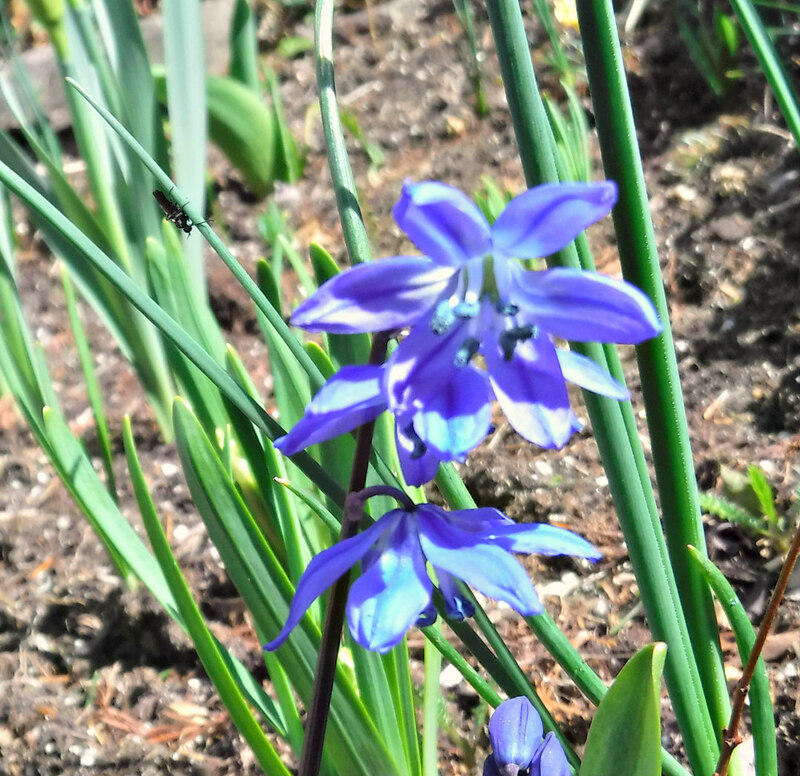 I will also be sowing many of the same seeds directly into the soil for later harvests. 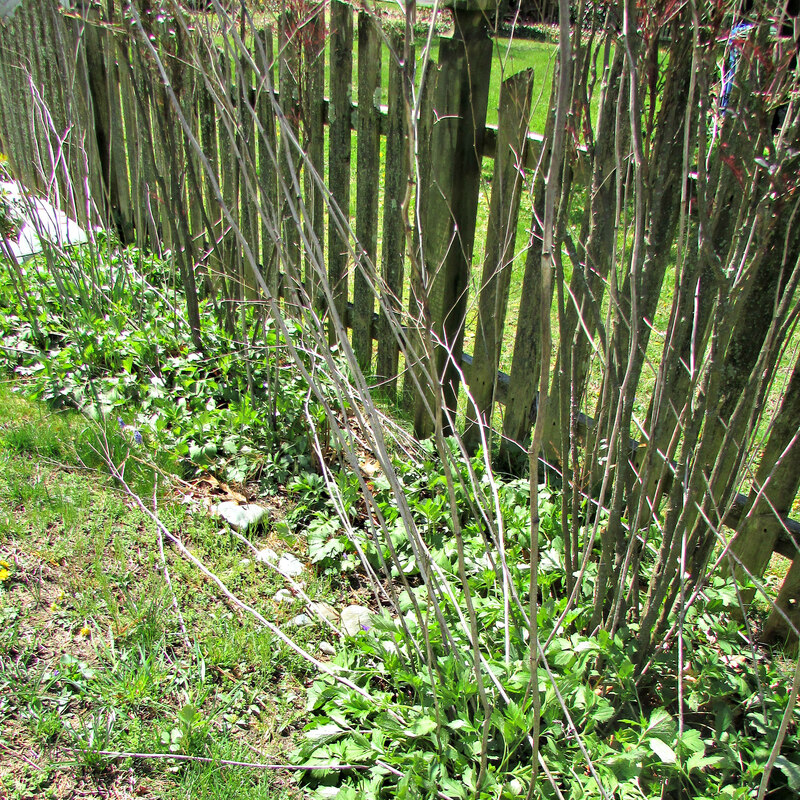 One problem I did have was a batch of arugula and mustard spinach had already begun to develop buds in the recent warm temperatures. 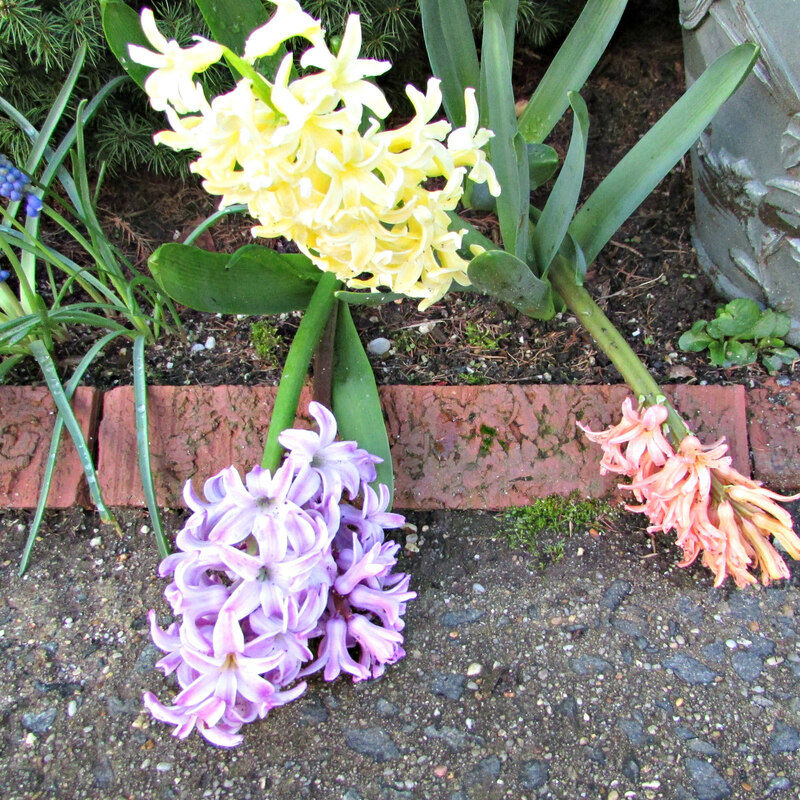 I discarded these as they would have had a bitter flavor once they flowered. 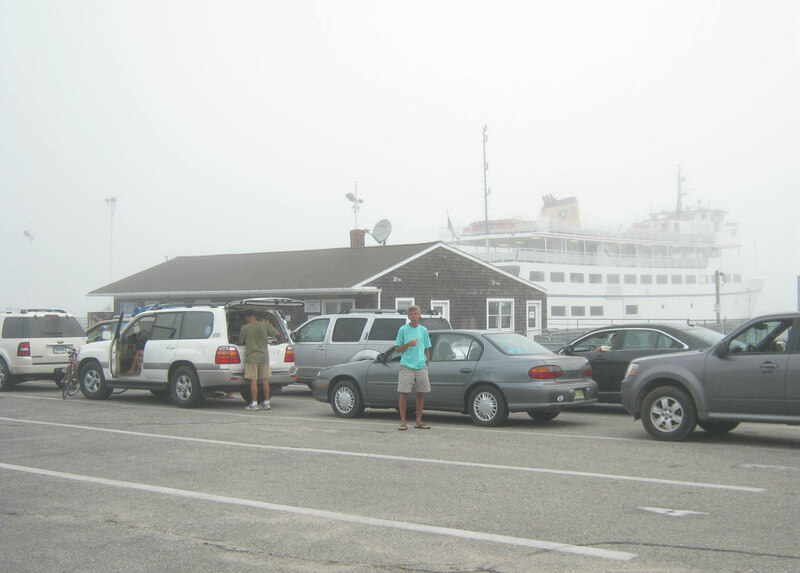 For this week’s post I’m back to Block Island, RI. 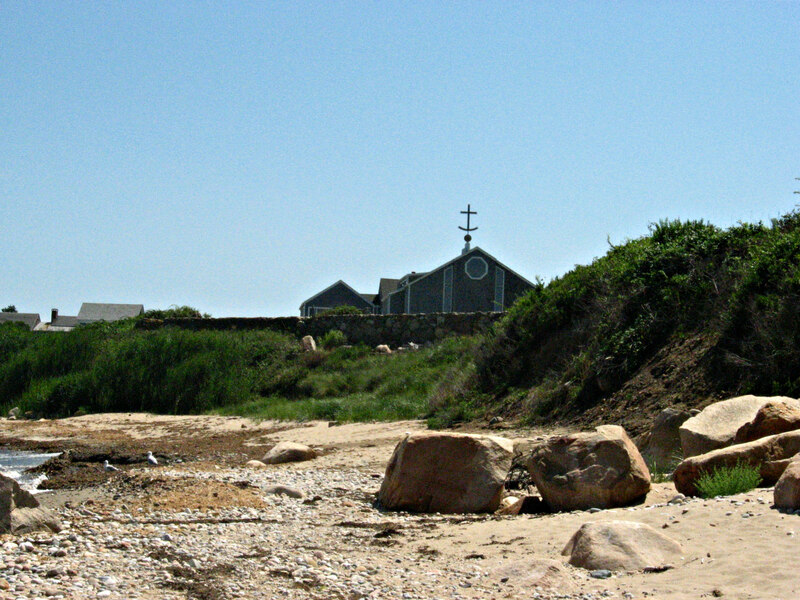 I believe this anchor, photographed from Pebbly Beach, is a wind vane of sorts. 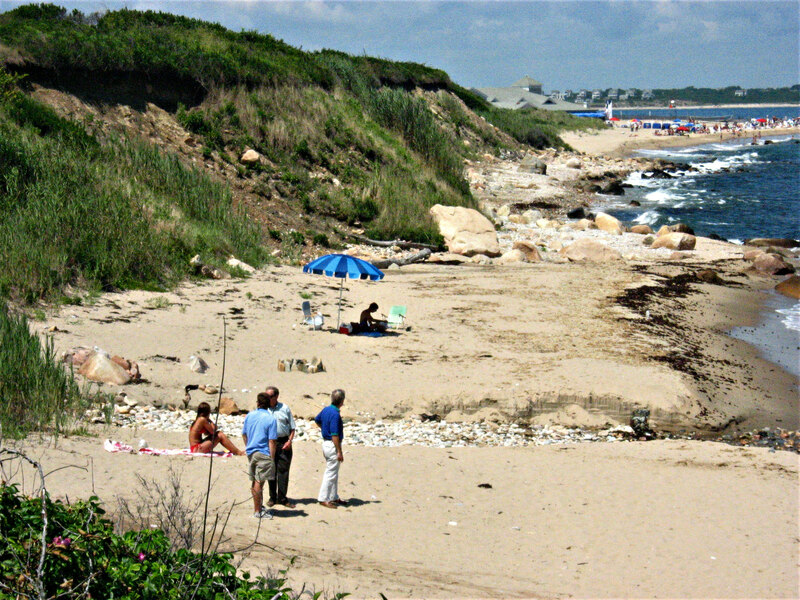 Pebbly Beach was one of our favorite spots to visit on Block Island when we stayed in the Sea Breeze Inn. 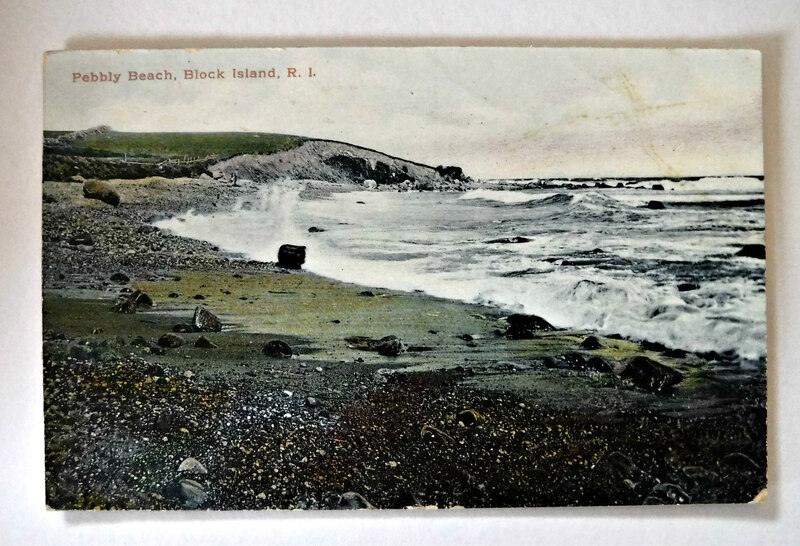 Visitors to Block Island have enjoyed the Pebbly Beach for over 100 years. 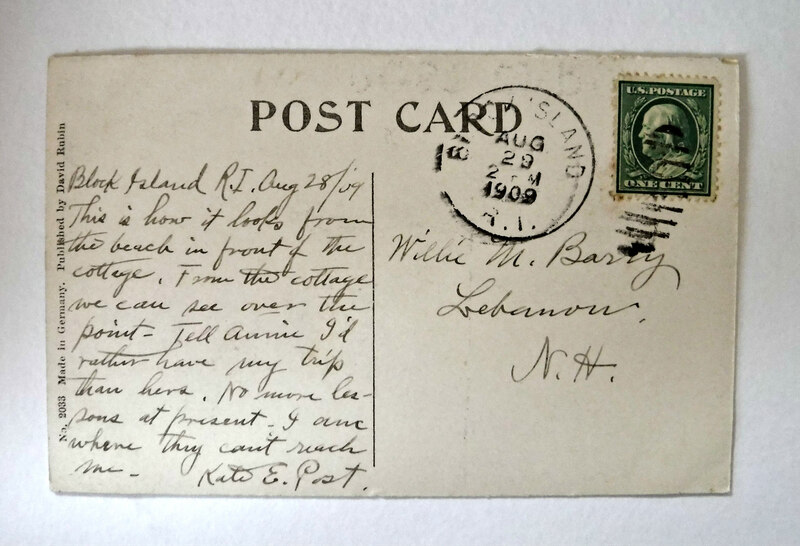 This postcard is postmarked August 29, 1909, almost 110 years in the past. Here’s an easier to read view of what I think Kate wrote to Willie on that long ago day. I’m not sure of two words, these I printed in capitals. There seems to be some unspoken drama in this post. I wonder what Kate meant about not being reached??? Even today to visit Block Island requires a boat or plane ride. The mystery is a century old. I love old postcards with messages. 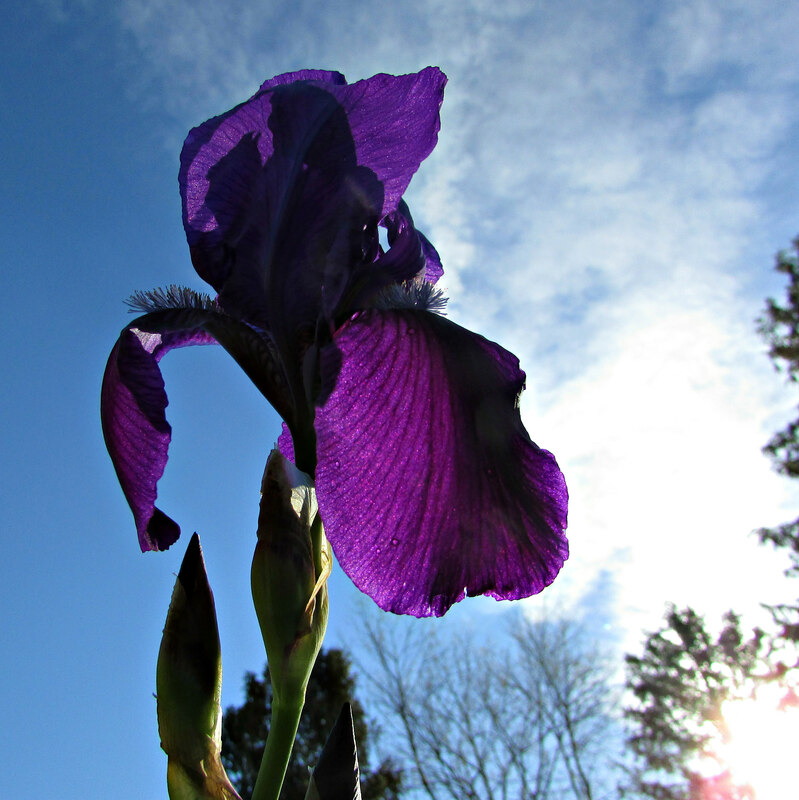 This regal flower reminds me today of beauty lost. How horrifying it was yesterday to witness Notre Dame in flames and realize there was nothing to be done to save it. 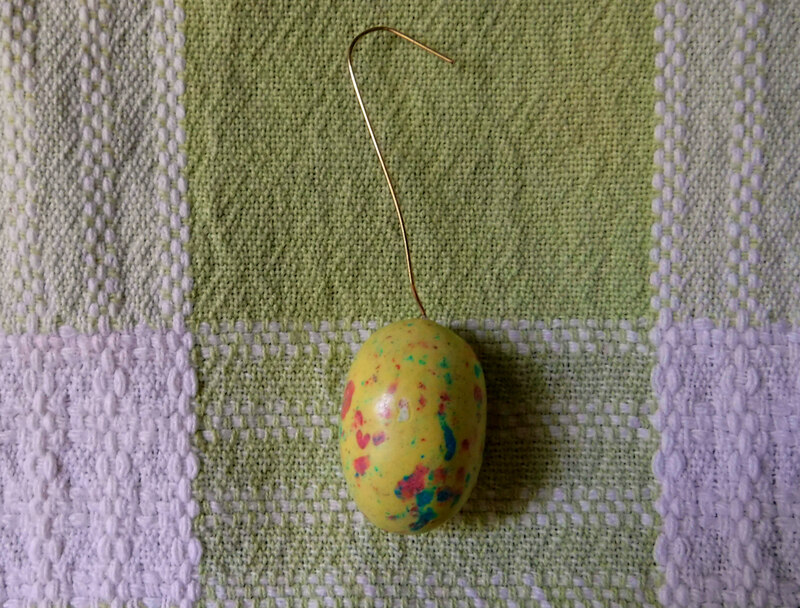 A reminder to make the most of every moment, so much can change in just a matter of minutes or hours. 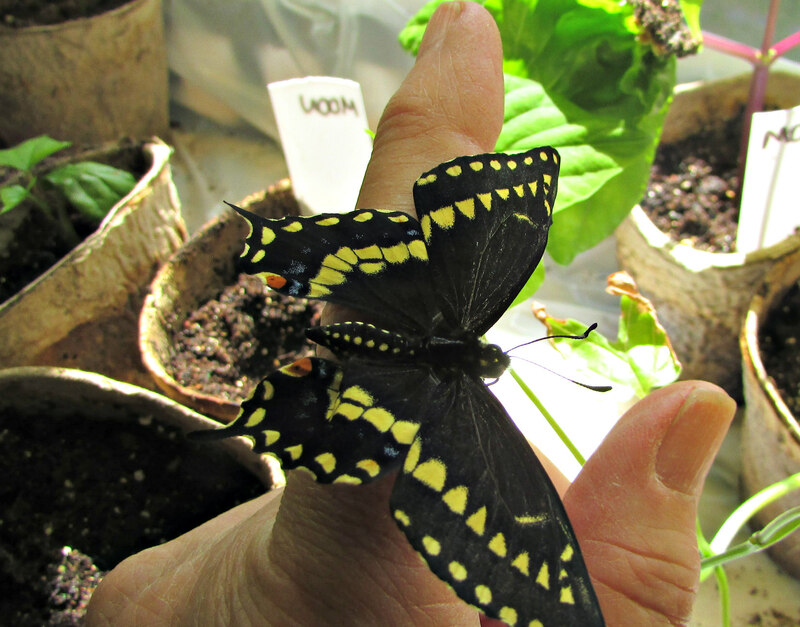 Part II of my small miracles day doesn’t have the beauty of the newly hatched Swallowtail butterfly, but it will help facilitate more miracles. 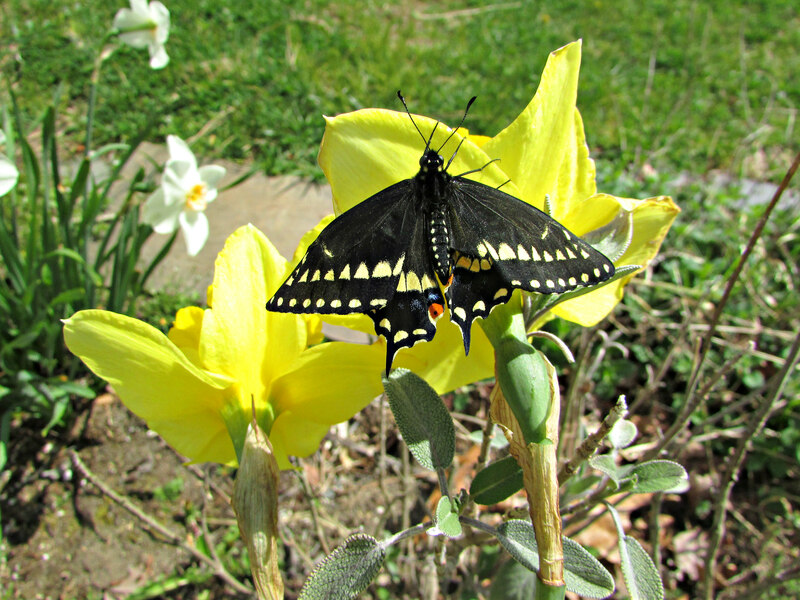 I grow dill and other host plants for Swallowtail butterflies each year. This season I was determined to also grow plants for Monarchs. I have managed to sprout some milkweed seeds by the winter-sowing method. 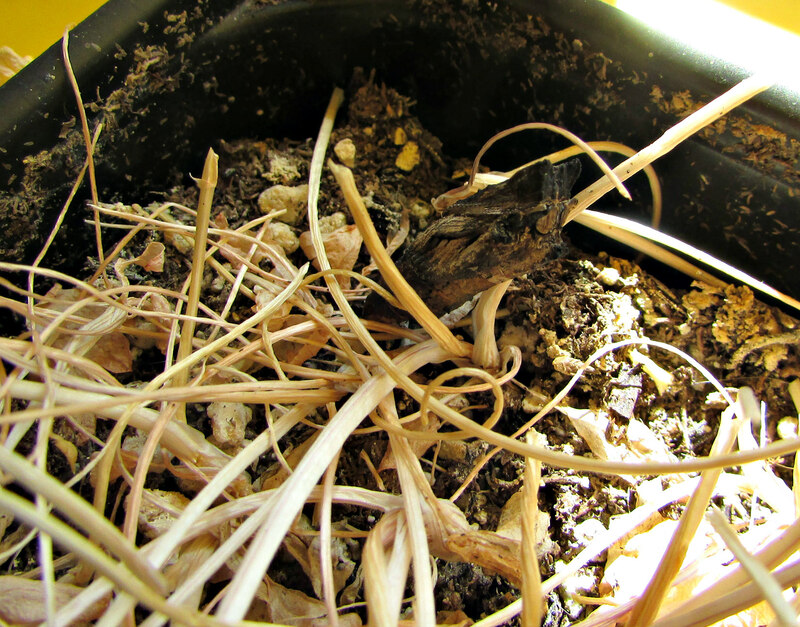 Because I know the milkweed has a tap-root I chose to sow the seeds in peat pots and enclosed them in a recycled food container during the winter months. They have sprouted. 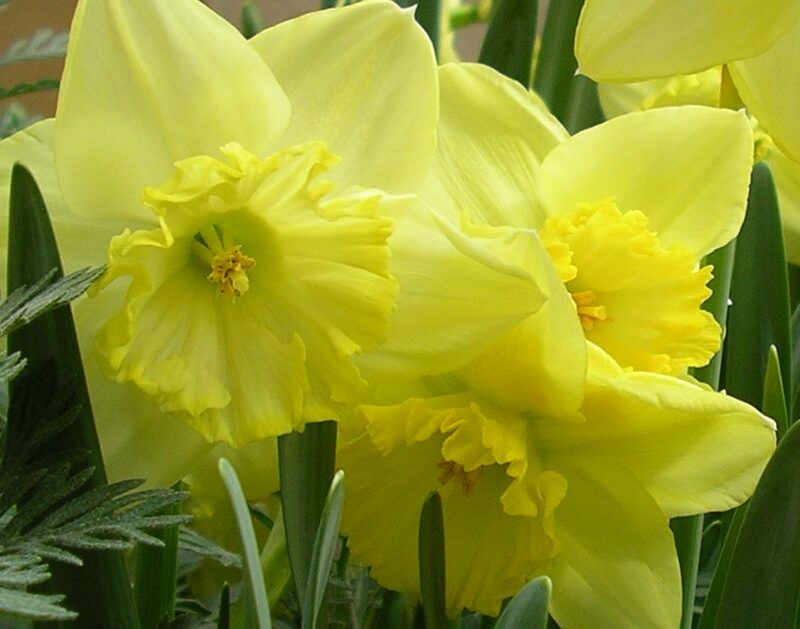 I will get them in the ground as soon as possible so that the tap-root will not be disturbed and the plants will have a better chance at survival. Asclepias syriaca: Common milkweed is the host plant for Monarch butterflies. I know the assessment of Monarch Joint Venture is true. I can name three parcels of land within a mile or two of my home where I once saw milkweed. All three have been built upon, weed whacked, or decimated by the relentless need to clear land for business purposes. I’m sure this same problem is rampant across the country. Due to the loss of habitat for monarchs, this year I collected a bit of seed from a milkweed patch to grow in my gardens. 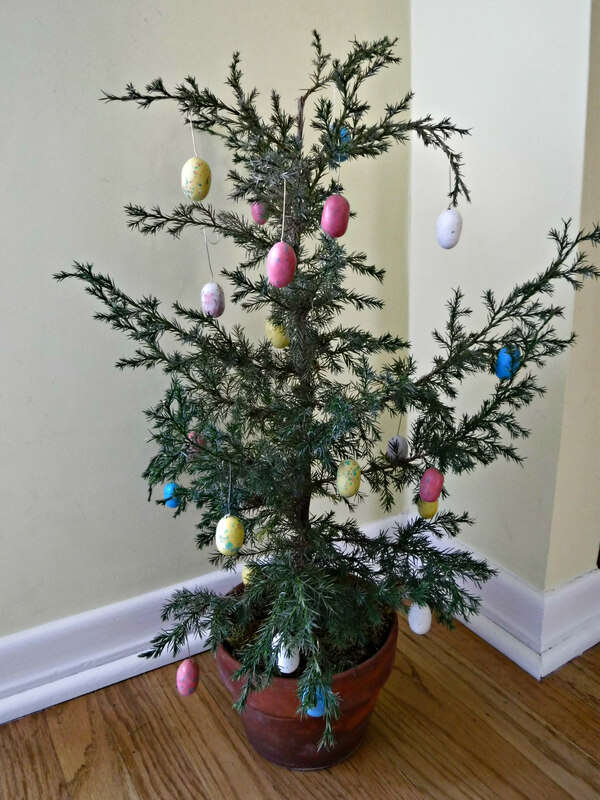 I’ll be planting the sprouts soon so that the long root can develop unhindered. I also have several milkweed seeds in my freezer. 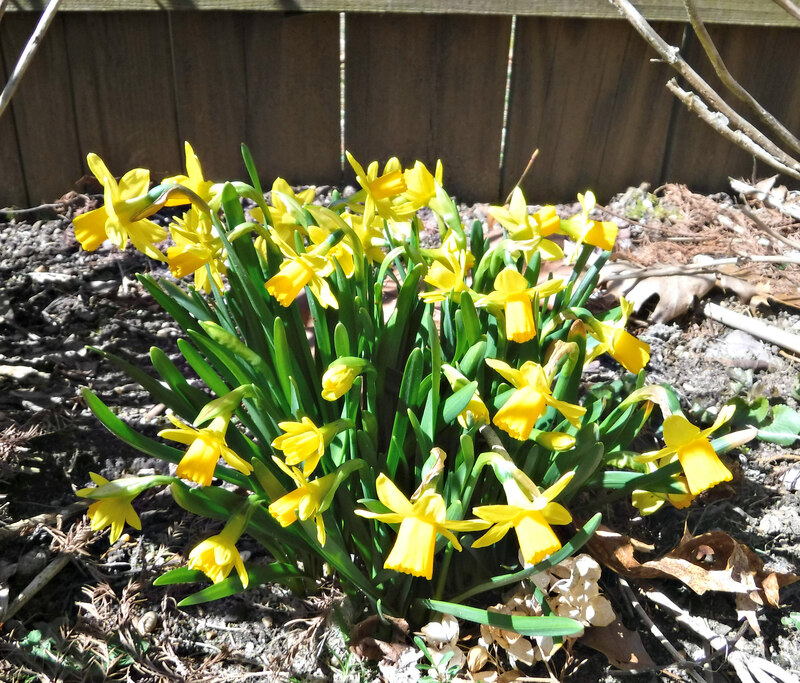 I’ll plant a few in my garden beds and also find some areas near me where they might have a chance to grow. If you want to participate in helping Monarch butterflies survive and thrive you can find some good tips here: Monarch Butterfly Garden. Day trips, and even jaunts around local towns, find me looking up for vanes. 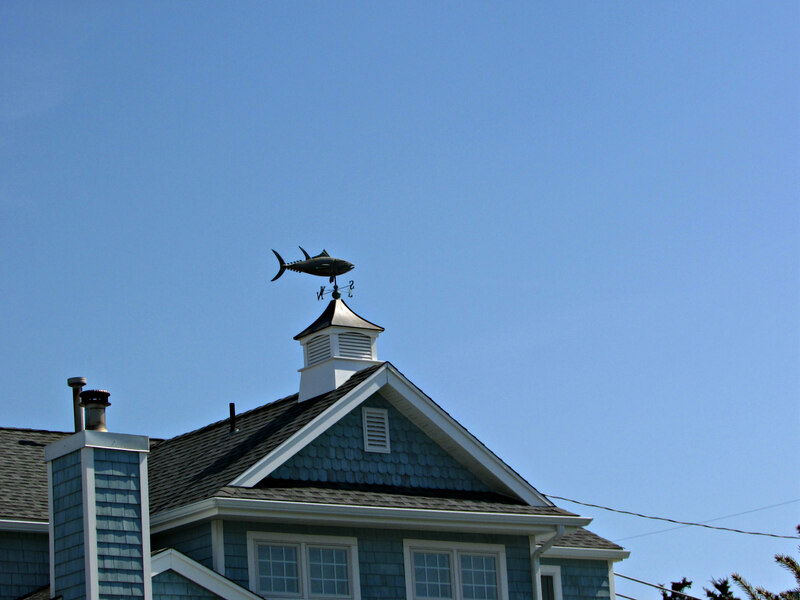 This week I found a beautiful weather vane in the seaside town of Ocean City, NJ. After searching for weather vanes for ten months, I’m fairly certain there are more to be found in beach areas than in any other area. 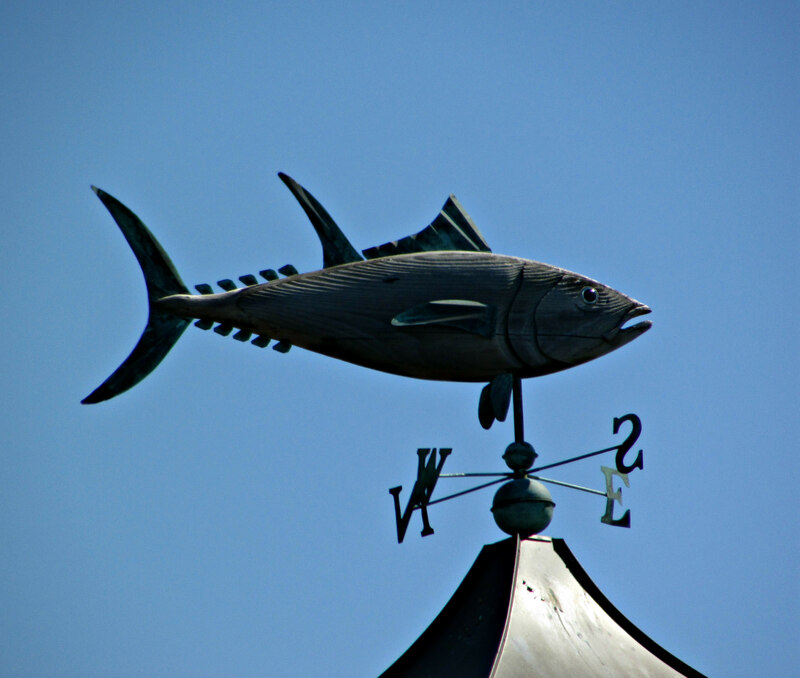 I think this ‘fishy’ weather vane depicts a tuna. 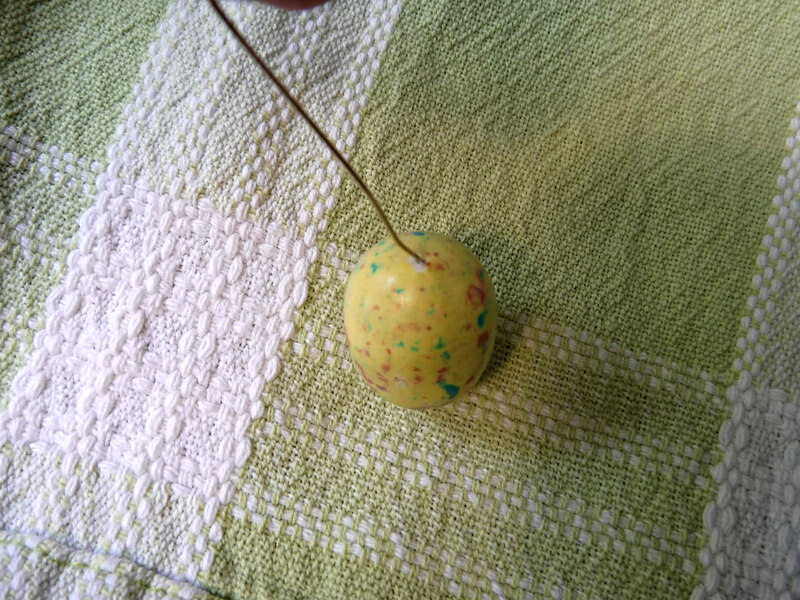 It is the largest in size I have found thus far. 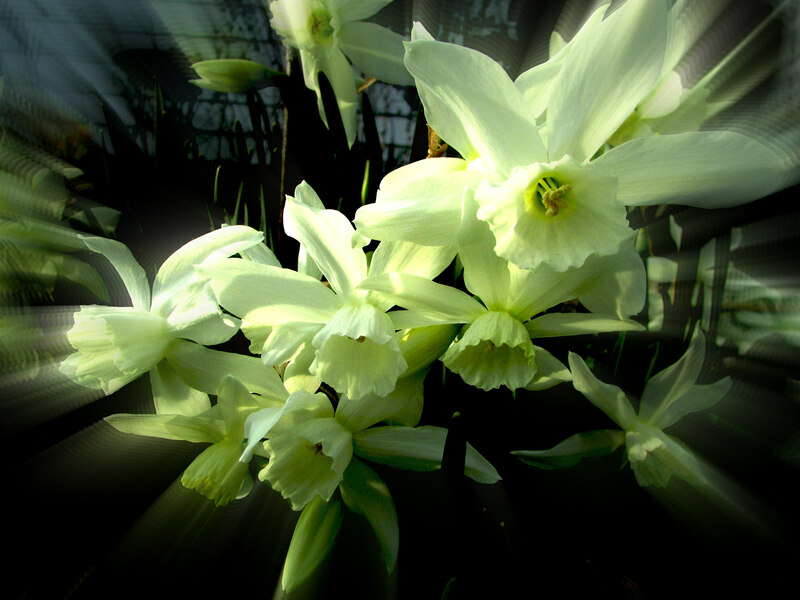 The brilliant flowers in this post are part of Cee’s Flower of the Day. 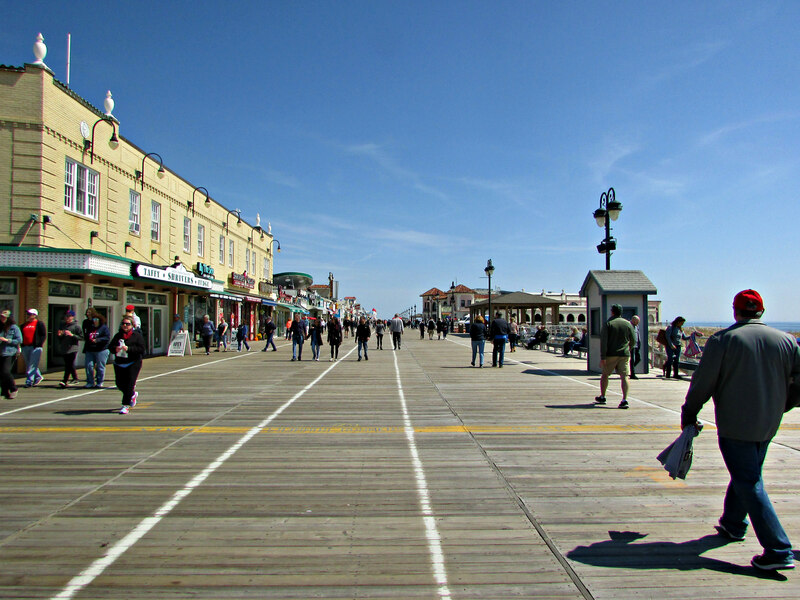 Spring’s warm weather brings hundreds of Shoobies to Ocean City to walk the boards. Shoobie is a slang term for daytrippers who visit the Jersey shore for a day or weekend. I’m not ashamed to admit the moniker ‘Shoobie’ can often be applied to me. 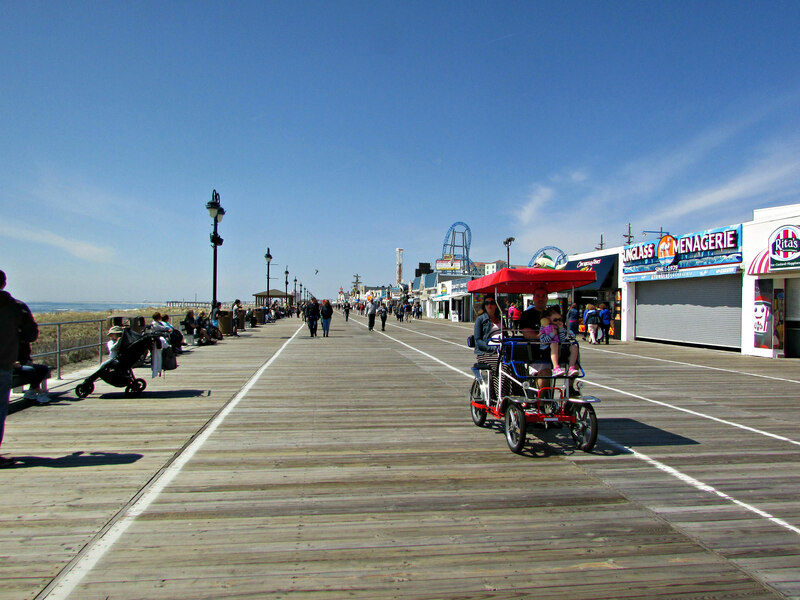 It’s sometimes difficult to decide which way to turn on the boardwalk, but our starting point is usually Ninth Street. Why? 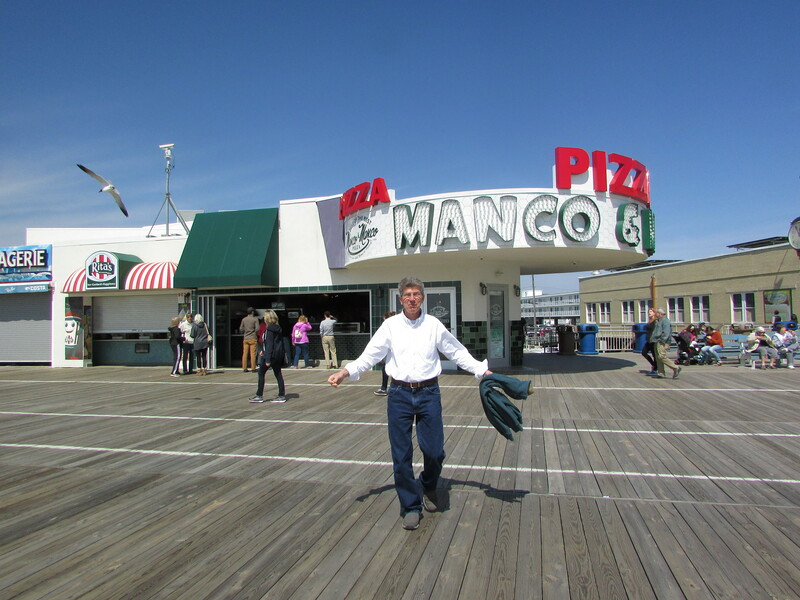 Ninth street is where our favorite pizza place, Manco and Manco, is located. If you don’t want to walk you can pull up a seat on a surrey. It might seem odd to find a library on the beach, but I think it’s a great idea. 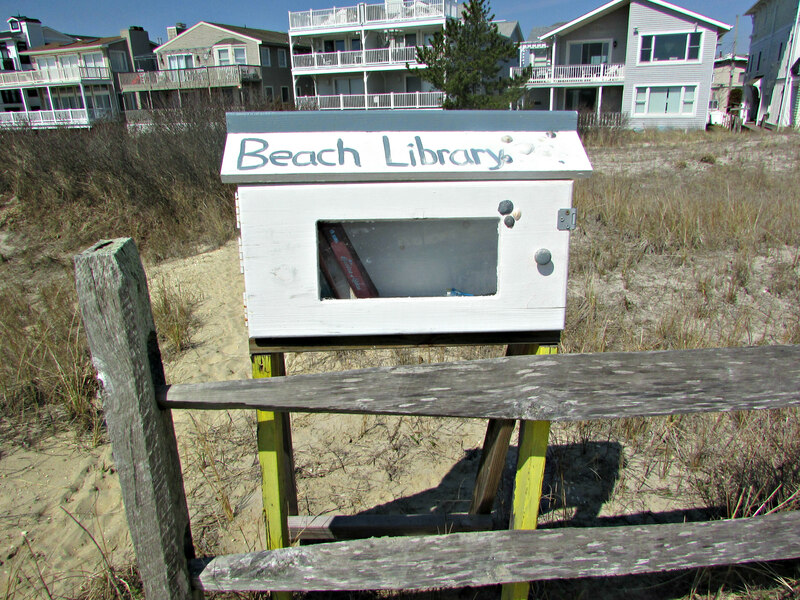 I’ve seen these small book exchange boxes in local towns, but this is the first beach library I’ve seen. We stopped at the neighboring town of Strathmere on the way home. Walking the beach we took notice of an area on the edge of the dunes. Cordoned off with wire, signs warned against entering the area due to endangered birds nesting in the area. 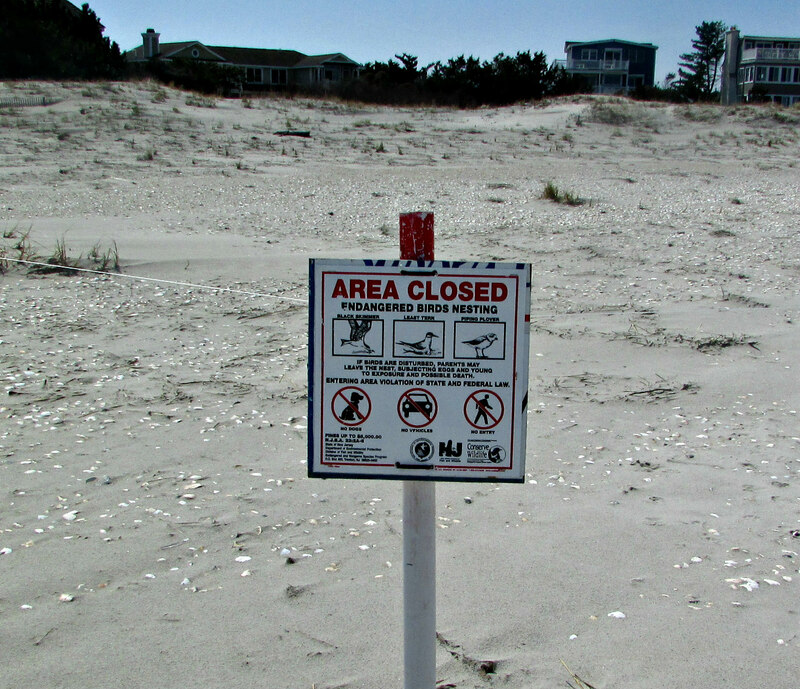 I love shore birds and was glad to see their nesting area was protected. I hope they will nest and rear their young before even more Shoobies arrive in the summer. 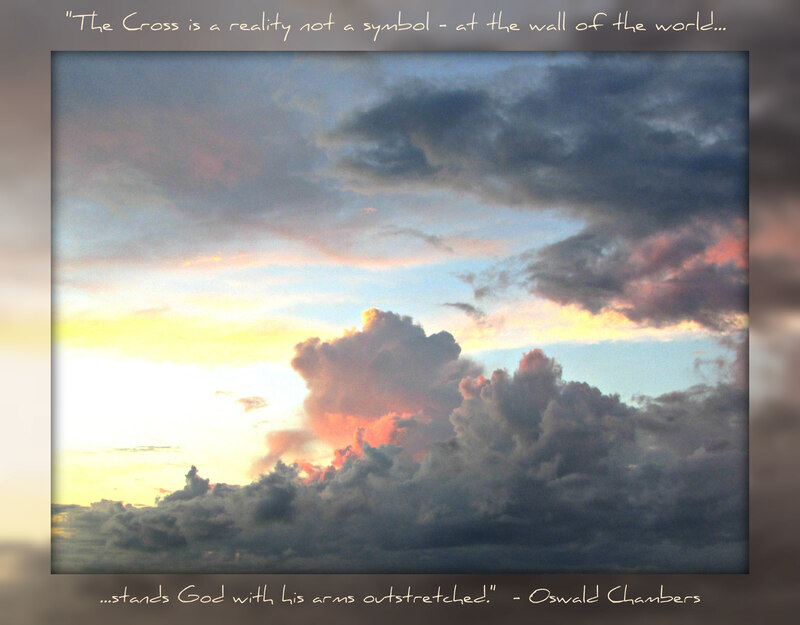 This post is part of Jo’s Monday Walk.